There have been millions of football games. Some of them are abominations that never should have seen the light of day. 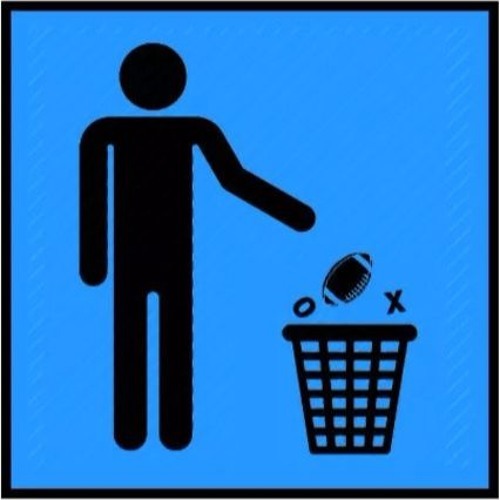 On Garbage Football, our hosts dig through a 15,000-year-old trash heap and watch the worst of the worst games - so you don't have to. In the 7843rd episode, Jay and Jim talk about the long running game 100423 and all the various tactics attempted by the West Virginians and Pennsylvians thousands of years ago. Show notes: - Episode 7841: Game 96249 - Game 99452 (really worth checking this one out) - Camera footage of the West Virginian cannon landing - Old League Football rules - West Virginian team stats - Pennsylvanian team stats You can also find us on Tumblr at https://garbagefootball17776.tumblr.com/ as well as find some similar projects over at 17776.football We also have a transcript for any who prefer to read or have any hearing difficults over at: https://garbagefootball17776.tumblr.com/post/163000927728/episode-7843-transcript Thanks for listening! @doom-melody: thank you for your kind words!